Original VW Golf Cup racing cars, which gave us a lot of emotions during past three years on many European circuits are now for sale. 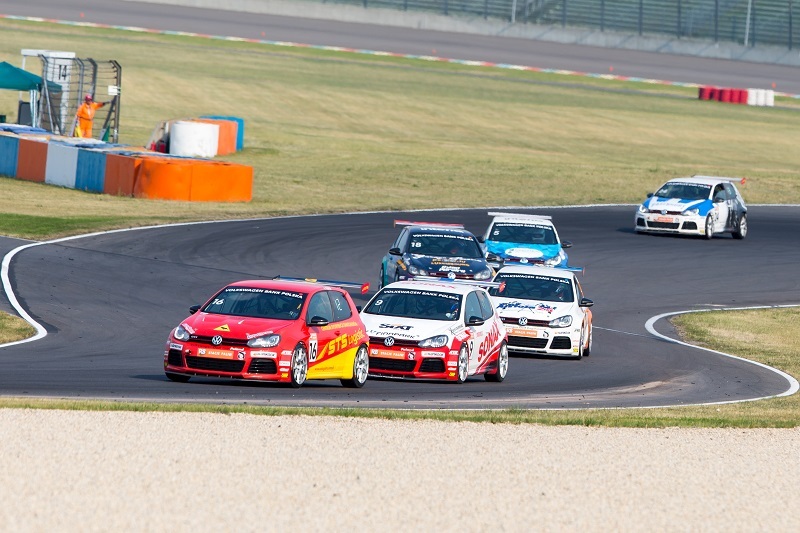 The 310 brake horsepower cars were produced in Wolfsburg with maintenance by Volkswagen Racing Polska, the organizer of the Volkswagen Golf Cup, in tight cooperation with Volkswagen Motorsport. After season 2015 of VW Golf Cup the cars were reviewed, parts were changed for new. The cars are in absolutely perfect condition- ready to race! Each car has own Sport Car Technical Passport, confirmed by Polish ASN affiliated in FIA. roll cage (CRO-MO) Wiechers Sport – homologation FIA, DMSB. The price per car is 29 900 euro net, it’s approx. 21 000£ net (included extra 8 wheel rims). In case of more cars’ purchase, the price can be negotiated. Volkswagen Racing Polska Sp. zo.o. You can see the cars in Headquarter of our company, address above.